“New year, new me”. We tend to hear this tentatively whispered around the Golf Academy during the month of January. Unfortunately, quite often when it comes to practicing many golfers repeat the same mistakes over and over and expect positive results. We are passionate in our desire to stay at the forefront of our profession and based on this passion, we saw countless swing changes and improvements in our students’ performances during 2017. However, we shouldn’t forget the substantial contribution that technology plays in this for both instructor and ultimately player. Technology aids offer impartial data and when explained in a way that’s understandable for the student, it helps speed up the learning process. 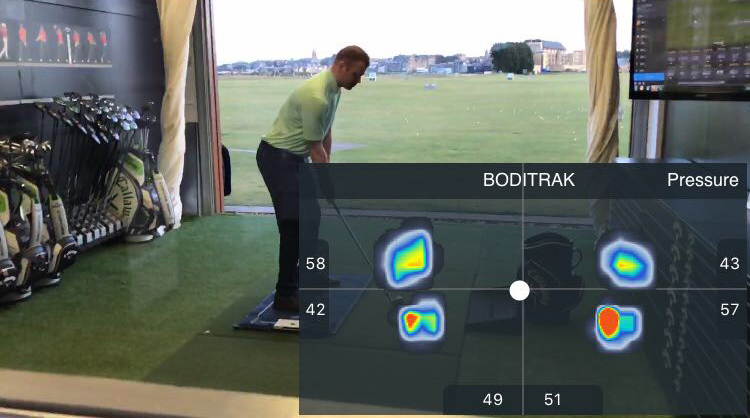 This is no different for the latest addition to the Golf Academy – the extremely impressive BodiTrak smart fabric sensor. 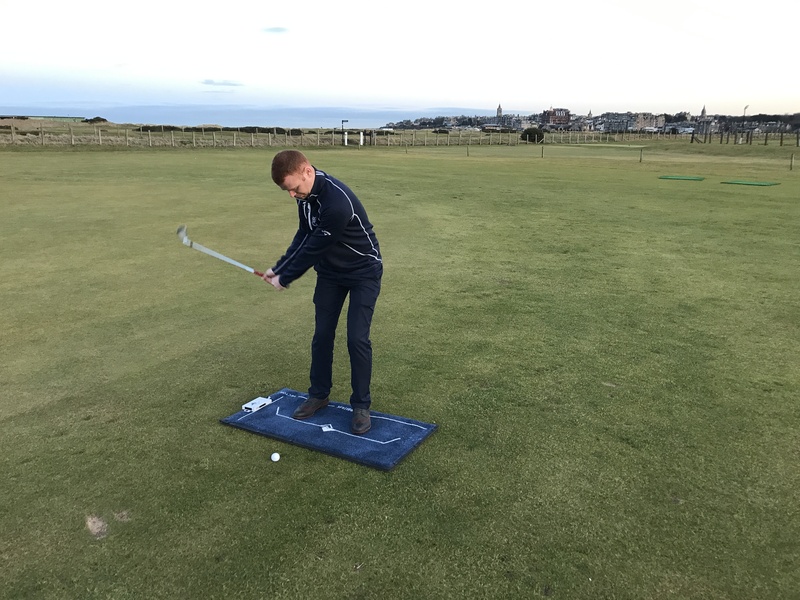 The ‘force-plate’ (mat) allows us to accurately measure a golfer’s interaction with the ground and balance during the golf swing. In other words, how well you set up to the ball and transfer your weight. Above: Shows centre of mass vs centre of pressure. Mass is shown through the colour hot spots and my centre of pressure is indicated by the white dot which is known as ‘trace’. 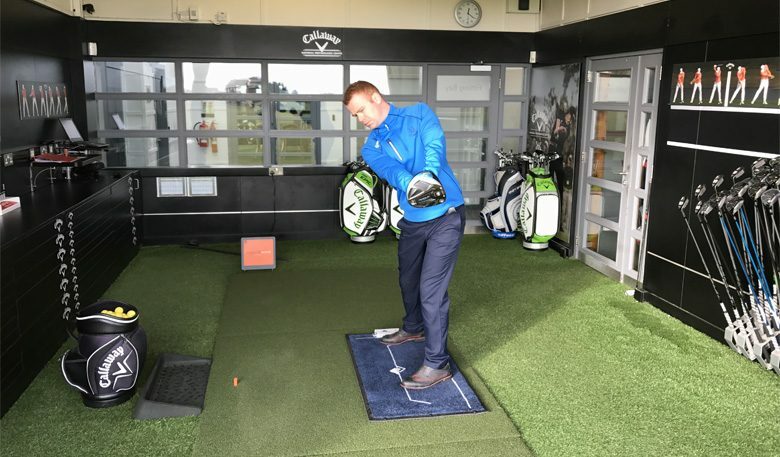 Each golfer will have a consistent ‘signature trace‘ of weight and pressure transfer during their swing. Improving a golfer’s trace can have a dramatic effect on the flight of the golf ball. There is a direct link between club head speed and how efficiently we transfer our weight and pressure throughout the golf swing. A slice or hook can be significantly reduced or eliminated by improving weight/pressure shift. Small changes in how we use the ground can bring significant improvements at impact. Poor weight transfer will lead to miss hit shots – both heavy and thin. Improving the consistency of strike. Positive changes to a golfer’s swing start from the ground up. 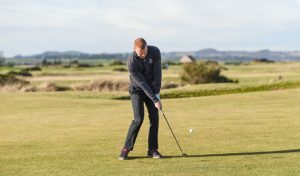 Before making any changes, an instructor must consider how well the player uses the ground. Looking at this factor alone we have seen some phenomenal changes. In several cases, a complete change in swing path based on efficient weight transfer has resulted in both a straighter ball flight and an incredible improvement in distance – one client gaining 30+ yards with their driver alone. 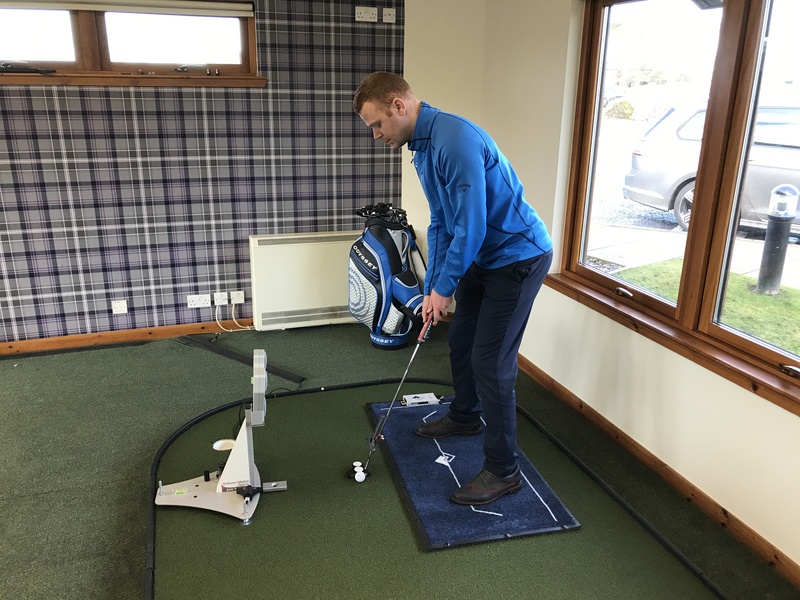 The BodiTrak sensor can be used indoors and outdoors as well as for full swings, pitching, chipping, bunkers and putting. 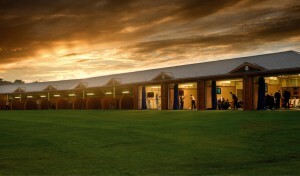 Following a lesson with BodiTrak, you will receive a personalised analysis from one of our PGA qualified instructors. A great piece of technology that can be used to help all aspects of your game! 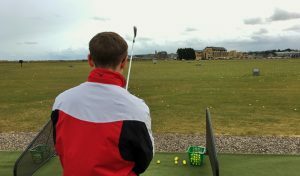 For more information you can contact the Golf Academy via telephone: +44 (0)1334 466 606, email: academy@standrews.com or visit our website.